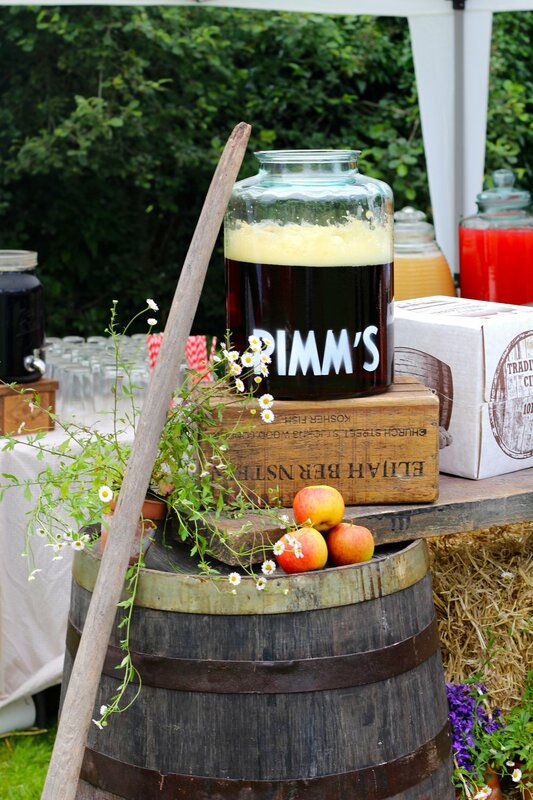 We love each and every one of our unique pop-up Quirky Bars, and they add an extra flair to any event. But sometimes we like to have a bit of fun by tweaking our bars to match the theme of special occasion. Most recently we've enjoyed going to extra mile by expanding our vintage Festival Bar into the pagan setting of a client's favourite cult movie - The Wicker Man. 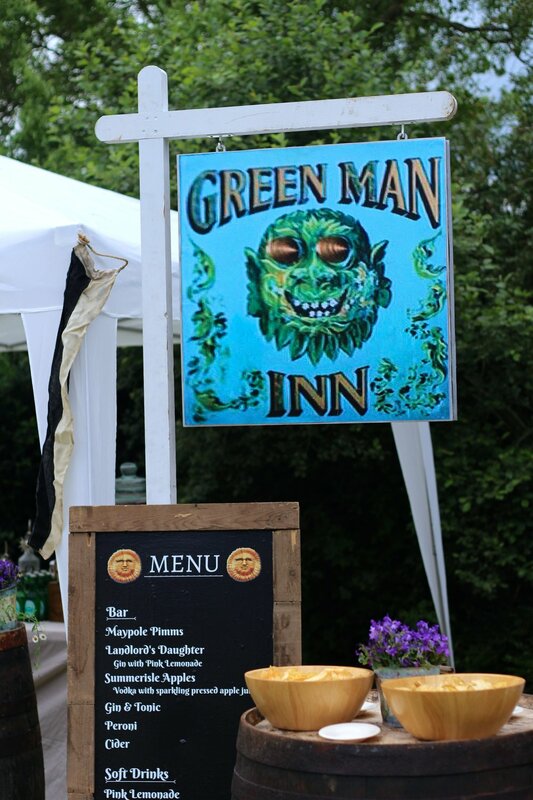 As well as enhancing the Festival Bar with additional harvest-related props, referencing the failing harvest in the film, we added a pub sign for The Green Man Inn. A replica pagan altar and staff dressed as characters from the film completed the theming, with drinks named in homage to the key characters of course! 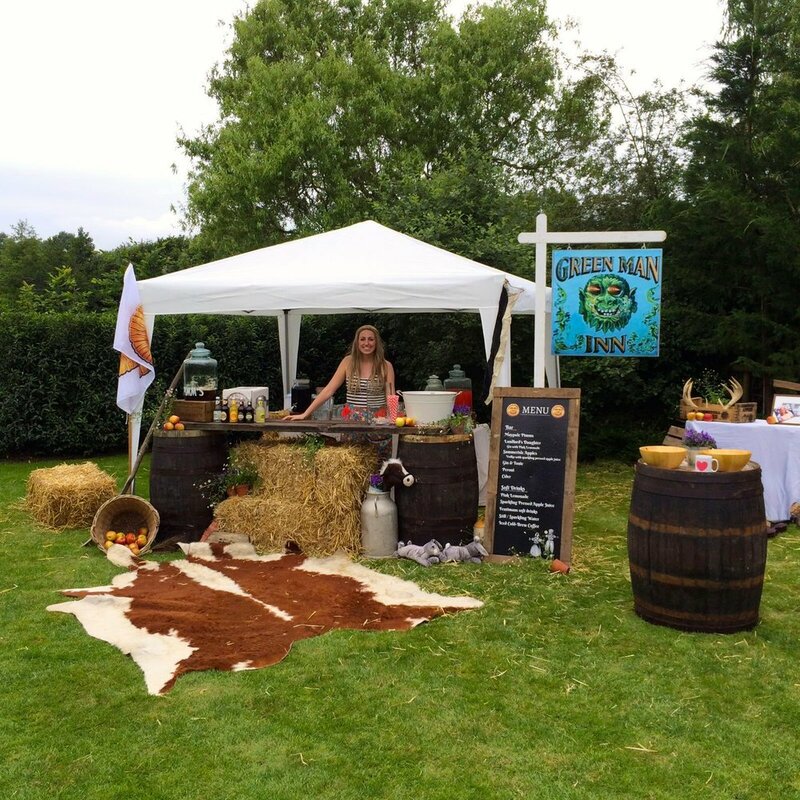 We also work with our clients to incorporate their creative passions... such as the birthday girl who hired our Classic Cocktail Bar to fit with her Africa themed party. The end result was great fun! Both themed events were the perfect base for the Quirky Group team to serve delicious cocktails from all night long. To find out how we can theme a bar for your event, contact us today.